If one goes on headlines alone, then SB 655 passing the North Carolina state senate with no dissent is a rather mundane if not arcane legislative action. However, as is often the case, there is some nuance to what Tar Heel state legislators in the state's upper chamber accomplished. The state senate passed legislation setting the date of a consolidated primary -- presidential, state and local primaries -- for the first Tuesday after the first Monday in March. Of course, the real value in this bill is certainty. By selecting a fixed date, legislators eliminated the atypical biennial rotation the North Carolina primary was stuck in after the passage of an omnibus elections law package in 2013. For much of the post-reform era -- 1972 to now -- North Carolina has had a consolidated primary election. And for much of that period, the Tar Heel state was rooted on the first Tuesday after the first Monday in May. Since the state concurrently held all of its primaries, the state enjoyed a smaller budgetary hit as compared to states with separated presidential and state/local primaries; two separate elections to fund. Granted, the trade-off was that North Carolina witnessed an increasing number of states shift to ever-earlier dates on the presidential primary calendar over the course of that period. But the elections package the North Carolina General Assembly passed in 2013 altered that. First, it separated the presidential primary from the primaries for other offices and tethered it to the fluid, but protected early presidential primary calendar date of the South Carolina presidential primary.1 In other words, there was no North Carolina primary scheduled until there was a South Carolina primary scheduled. Moreover, this was a provocative action on the part of Republicans holding unified control of not only the General Assembly but including the governor's mansion as well. Being tethered to the early, but unknown date of the South Carolina primary meant that the newly separate North Carolina presidential primary would run afoul of national party rules governing the timing of presidential primaries and caucuses. The severe delegate penalties the state potentially faced in that too early primary forced legislators back into action in 2015. To avoid those penalties, North Carolina legislators settled on a couple of tweaks. The first was to set the date of the presidential primary for March 15, while the second was to reconsolidate all of the primaries (but in March). However, that move was only temporary. It affected only the primaries in 2016. That sunset provision expired at the end of the year and the primaries reverted to their post-2013 state: a tethered North Carolina presidential primary and May primaries for other offices. This is a messy, irregular manner in which to schedule and conduct elections. 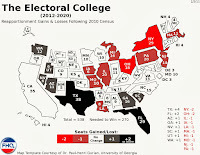 The practical effect since the 2013 changes has been to have the other primaries in May during midterm years and in flux during presidential years due to the statute's treatment of the presidential primary. If it is unknown when the presidential primary will be under current law, then there will be uncertainty as to whether there will be a move later to reconsolidate the primaries on an earlier date. More importantly, perhaps, the change would align the North Carolina presidential primary with primaries in neighboring states (Tennessee, Virginia and likely Georgia). Alabama and Texas also have primaries scheduled for that date at this time. All were part of the first iteration of the SEC primary in 2016. Adding North Carolina would shift the delegates of the tenth most populous state -- a not insubstantial number of delegates -- into the fifth slot on the calendar. In 2016, that was a position on the calendar on which the 25% delegates allocated mark was passed. Without passing too much judgment, this move to simplify the primary schedule is a win for elections administrators in the state as well as voters. And given the unanimity of support in the state Senate, legislators on some level see it that way too. 1 The legislation and ultimately the law actually left the presidential primary in May unless South Carolina had a primary before March 15. Given the first in the South status the Palmetto state primary has enjoyed in both parties since 2006, it was a virtual certainty that that North Carolina provision would be triggered. And that would have the effect of shifting North Carolina to the Tuesday following the South Carolina primary. 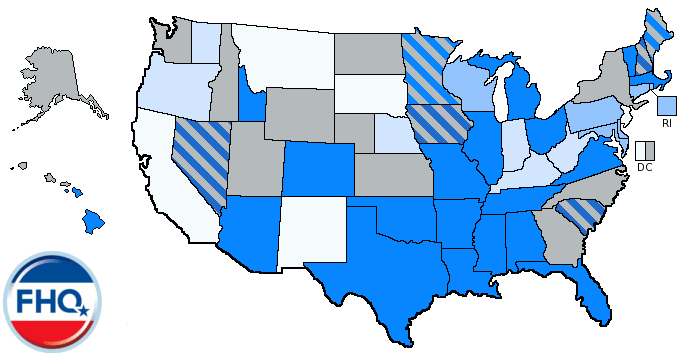 2 It is still early in the 2020 cycle, but there is no indication that either party is looking to alter the basic primary calendar structure: carve-out states in February followed by all other states within a March to early June window. Legislators in California are eyeing an earlier position on the 2020 presidential primary calendar. There has been legislation (SB 568) to do something with the California presidential primary that has been active in the Golden state legislature since February. Amendments quietly added at the end of March garnered more attention yesterday with a press release from the secretary of state and the bill's author in the state Senate. The change? Move California's June primary up in the process. But not just move it up, shift it into a position on the heels of Iowa and New Hampshire at the front of the 2020 queue. In reality, this sounds more provocative than it actually is. This is not Florida or Michigan moving into January for the 2008 cycle. Instead, the California maneuvering is more subtle, yet motivated by similar reasoning. States, regardless of size, mainly want a couple of things out of the presidential nomination process: 1) their voters to have a say in the identity of the nominees and 2) to have the candidates pay some attention to -- spend money and time on -- them. The best ways to accomplish those two goals are to be early and/or to have a specific spot on the calendar for your contest and your contest alone. 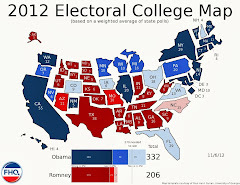 Iowa and New Hampshire, and since 2008, Nevada and South Carolina have each of those in spades. There are many reasons for that, but currently, the important fact is that all four are protected by the delegate selection rules of the national parties. Without a change there -- to the national party rules -- efforts by California or any other state to move up usually means settling for the earliest allowed date after the four carve-out states or taking a substantial penalty. The former is an attractive gathering point for other states, which gets them early but not alone. And the latter -- the penalty -- reduces a state's clout, affecting the campaigns' calculi in approaching the state. This is what happened when the California state legislature shifted the Golden state primary in both 2000 and 2008. California was early in both cases, but shared the date with numerous other states, giving campaigns options in terms of where and how to expend the finite resources at their disposal. These are not problems unique to the Golden state. What is unique in California's case is its size. But the number, diversity and wealth of the population are both blessing and curse. Enough wealth is concentrated in the state that the candidates of all stripes have been more than willing to come into the state early to raise funds. But then they go spend it elsewhere; Iowa and New Hampshire chief among the recipients. Californians have often bemoaned this ATM treatment, and have at various points (1996, 2000, 2008) seen their legislatures seek a different relationship; a different, earlier position on the calendar that allows both fundraising and fund spending in the state. But again, all of those experiments got the state early, but not alone. And the proposed 2020 experiment will not end any differently. Let's game this out in a way that the proponents of this legislation have only partially thought out. First, the SB 568 moves not only the California presidential primary to the third Tuesday in March, but everything else traditionally scheduled for June. That spares the state the $100 million plus price tag of a separate presidential primary, but also creates extended general election campaigns for all those down ballot who win February or March primaries. But the legislation also provides another scheduling option on top of that baseline March primary date. Like other states which have mimicked New Hampshire to some degree, the California bill grants an individual -- not the state legislature -- the final say in the matter. States like Arizona, Georgia and New Mexico have experimented with allowing one individual -- typically the secretary of state as in New Hampshire, or the governor -- set the date of the presidential primary. In those cases the state legislature ceded the power to an executive branch actor in order to streamline the date setting process. It is understating things, but the legislative process can be messy and slow, and a political question like when a presidential primary should be held can trigger divisions that can derail legislation. Legislatures across the country are also not always in session during the second half of a year. That time constraint often compounds the problem of a glacial legislative process. To be more nimble and reactive, then, a handful of state legislatures have given up the date-setting powers, granting them to an individual not hampered by internal division nor similar time constraints. This California proposal partially ventures down the same road. The legislature sets the mid-March date, but gives the governor the ability to shift the primary up even further by proclamation. This is where most of the quick reaction analysis on this legislation has ended; with California's governor of the future hypothetically moving the California primary into the third position on the calendar behind Iowa and New Hampshire. Of course, it is anything but assured that the four carve-outs will be in those positions come 2020. And the reason why is because of ambitious states like California that introduce uncertainty into the process of the calendar coming together. 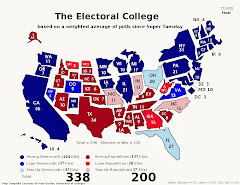 Since that uncertainty has been routinized -- not to mention counterbalanced by national party rules -- the early four states usually hold off on formally scheduling their contests until the fall in the year prior to the presidential election. In other words, those states will not have official dates until fall 2019. Keep that in mind. That affects California. If the governor waited until the end of September to set a date around the same time that the carve-outs settle on their own dates, then the 240 day buffer provision would mean that the earliest the future California governor could schedule the presidential primary for would be the very end of May. That would default to basically the same position California occupies now on the calendar. But the reality of the provision is that it calls for the governor to move the date up from mid-March to an earlier date, not a later one. The 240 day buffer means the governor cannot wait to the fall to make a decision alongside Iowa, New Hampshire and the others. Waiting means giving up that power and falling back on the baseline March date the legislators are attempting to establish. And making a decision earlier means the governor would be making the decision earlier and with less than complete information. To schedule a February 18 primary, a decision would have to be made by late June. A number of state legislatures will be out of session by that time and that may cut down on any potential clustering around a February 18 California primary. But that would be a decision that would give the carve-out states plenty of time to react accordingly and schedule their contests ahead of California. That all leads to one conclusion: The third spot is out of the question for California. The best they can hope for is fifth; playing the Florida role from 2012. That is the "we don't want to be first, we want to be early all by ourselves" argument. California's proposal logistically prevents it from getting the third slot, and the national party rules, unless amended, will prevent it from claiming a spot that is fifth in the order and before March. California could move up to the first Tuesday in March, but as the earliest date allowed by the national parties, that is a date that California would share with a number of other states, just like the 2000 and 2008 experiments. What in the national party rules would prevent California from going before March? Penalties. Now, the national party rules can change and likely will in the coming months. But there is no apparent desire to alter basic framework of the calendar: carve-outs in February and everyone else between March and early June. A rules-defying February primary would cost California half of their delegates on the Democratic side and would reduce the Republican delegation from 172 to 12, a 93 percent reduction. Additionally, any Democratic candidates who campaign in a rogue California would lose any delegates won from the reduced pool. In that scenario, California could move up, be early and alone. Alone on the calendar and alone in terms of candidates spending time and money there. This is a long and winding path with exit ramps that end in dead ends. One cannot fault California legislators for walking down this path. They are not alone, and have adopted some innovations from other states. Still, the thinking is old and somewhat outdated. The race to the front is one that cannot be won. However, there are alternatives. A savvier approach might be to choose a spot on the calendar that is pretty barren. There is a lot of space in early and mid-April that could potentially benefit California. No, the primary would not be among the first to winnow the field, but it could serve as a knockout blow in the race for the nomination. Sure, proportional rules on the Democratic side work against that theory as does California's size. An April California primary would give those mid-Atlantic/northeastern states with later April primaries pause. California's gravitational pull in the delegate math means that states that want to give their voters a say -- any say -- in the nominations would want to be before a state as delegate-rich as California. Even that route is fraught with peril and uncertainty. And keep in mind that the proposed proclamation power would only allow the governor to move the date up, not back to April. It really is a toothless provision. So, third Tuesday in March? Set the date. Join Illinois. Join Arizona.